When you have a family member struggling with alcohol or drug addiction or maybe a close friend going through a rough period in their life and have started to abuse drugs and now have become victim to their addictive nature, what are the types of treatment available? There is a large variety of treatment available to anyone with a drug addiction problem (12 Step, Faith Based, Evidence-Based, Holistic, and cognitive behavioral and much more) But prior to the actual treatment approach, one should also consider the options of “how” that therapeutical approach will be utilized. Do you need a residential drug rehab centre, short term or long term? Is outpatient good enough to eradicate your love one drug addiction? What is the difference between private drug rehab and public addiction services? First, the outpatient addiction services, how this works, is usually a government funded treatment clinic that is open with fixed or flexible hours based on the traffic of the area where the clinic is located. 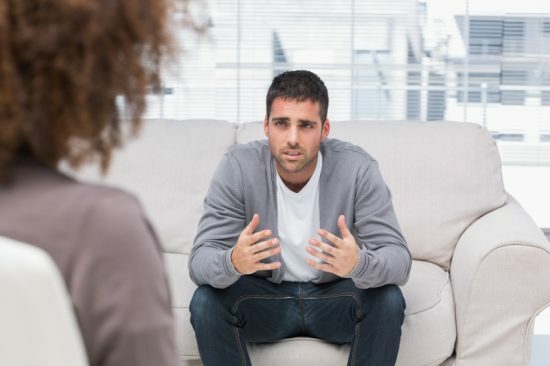 In many of these addiction clinics, you can find different professionals available to meet patients such as addiction counselors, doctors or resident physician for examinations, nurses and social workers even legal advisors. These outpatient clinics are simply a monitoring center that keeps tabs on drug abusers and does their best to encourage people to get real help with in-patient counseling and long-term treatment to solve their addiction problems. Some walk-in clinics are designed as a “harm reduction program” where people suffering from drug addiction can take their drugs, such as Heroin. These clinics will provide a clean hypodermic needle to inject the drug and have supervision during this time, such as seen in cities like Vancouver, Toronto and other major cities. Inpatient drug rehab centers are also known as residential drug rehab or live-in addiction rehab. Long term treatment and other inpatient addiction programs are found all over the country in large and small cities. Many are government funded as part of the federal and provincial mandate with social health care. There is still a small fee to be signed up for these programs (around $50/day) that can take anywhere between 21 days to 30 or 45 days for short term stay and 60, 90 or 180 days for long term addiction treatment programs. Most of the government funded programs are 30-day program due to that being the allotted time of funding for any one person, despite whether the drug addiction is handled or not your time is complete and the next person on the list is signed up. There is also the option of private residential drug rehab centers; these facilities are mainly paid for service health care provider and in some cases covered by insurances. They generally have a higher success rate than government funded addiction programs. Private addiction treatment facilities will show on average a 65-75% success rate compare to 10-20% for government funded drug rehab centers. The main reason is the ratio client per staff in a private drug rehab is on average 3:1 which allows more time for individual counseling and more personal services. Often addiction counselors in government-funded programs have the responsibility of about 10-15 clients. Also, private drug rehab centers will use a wide variety of therapeutic approaches like cognitive behavioral therapy, emotional wellness class, relapse prevention program, anger management and many others including 12 steps. Government funded addiction treatment programs don’t offer as much; they will mainly focus on the 12 step program and sometimes provides individual counseling. Private drug rehab centers will have professional therapists and certified addiction counselors, medical staff, activity staff, coordinators, legal liaison officer, interventionists, etc. In many of these drug rehab treatment centers they will have either private or semi-private rooms, and in a few areas, there are community quarters. You will often find the program is all inclusive, meaning the amount paid will cover the addiction program, room and board, activities, aftercare programs and other amenities but not personal expenses such as hygiene products, personal purchases for self, or certain medical treatments like dental work, etc. Private inpatient drug rehab center offers 30, 45, 60 and 90 days addiction programs.